I can remember the first time I saw the letters “HBO” together and it actually meant something to me. It was the fall of 1981 and my parents had cable. The concept of cable didn’t really make sense to me and I was blissfully unconcerned. 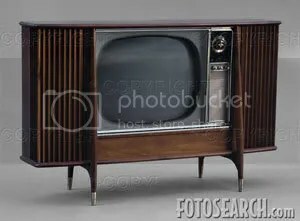 The TV was one of those big console monstrosities that ::gasp:: we had to crawl over and flip channels with a knob. It was awesome. Somehow that year I got to piece together Jaws and Orca for the first time and it continued to fuel a lifelong monster obsession that HBO still continues to satisfy. I have not concealed the fact that I have become ridiculously attached to True Blood. I know you have heard this before here, here, and even here so I will not take up the space and time to annoy you with continued details except to say that it is slated to premiere June 12, 2011. WOOT! This is the part of the post where I admit, I just don’t seem to ever get enough HBO. This year is the end of one of my FAVORITE shows, Big Love. I have watched every single episode in all these years, in the beginning because I just could not fathom how I could find it interesting or become involved in the story. I do not mind saying, HBO knocked me upside the head with that one, whew! I have been on the edge of my seat, all these years, watching how things unfold. It is one of the few shows I can say without question is just as good in its final stages as it was in the beginning. I share equally the love for Barb and watching her discover her life as the hate for Nicki. Oh, how I wished Nicki had left the family for the prosecutor…such a GREAT story line for a character I really have disliked (in this respect, Chloe is brilliant!). I will be so sad to see the last episode and my life will never be the same. I can only hope one day there is a movie so that we can really see where the Henrickson’s end up. My newest and possibly my worst obsession to date is Game of Thrones. When I saw the first teaser over a year ago, I had a meltdown. The sets, the costumes, the language were music to my ears. This led me to a dangerous obsession to the great George R.R. Martin’s series that has resulted in the inability for me to read anything until I finish this series. I am on book four and book five comes out in July. I am just screwed; I may never read anything else. I swear it’s more addictive than the Harry Potter books. So sophisticated and elegant, I mean HBO cast the glorious Sean Bean as one of the main characters. Are you kidding me? My head might explode. Game of Thrones debuts on April 17. If you haven’t read the books, get started. If you haven’t been to the blog, go here. 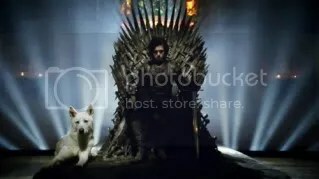 Bow at the feet of HBO and tell them how great it is…you are going to just freak out when you get into the first couple of episodes…I promise. Check out the trailer here. I need to sit down and rest now. The thought of it is overwhelming.